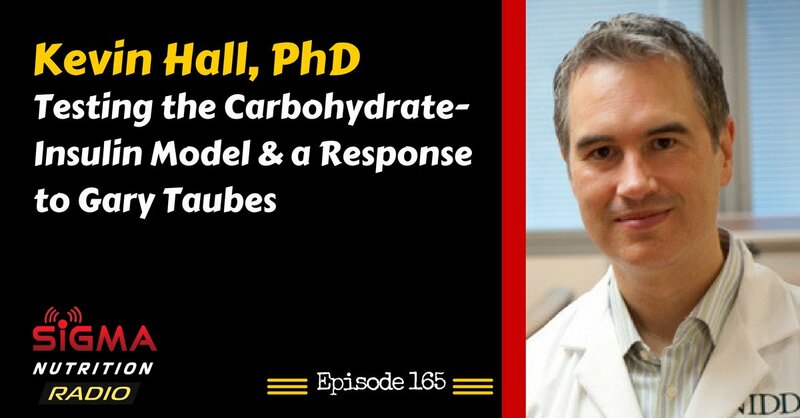 Episode 165: Kevin Hall, PhD of the National Institutes of Health (NIH) is on the podcast to discuss his work examining the carbohydrate-insulin model of obesity and responds to recent comments on the issue by Gary Taubes. Dr. Hall is a Senior Investigator in the Laboratory of Biological Modeling at the National Institute of Diabetes and Digestive and Kidney Diseases (NIDDK). Kevin’s laboratory investigates how metabolism and the brain adapt in response to a variety of interventions to diet and physical actvity. They perform experiments in both humans and rodents to better understand the complex mechanisms regulating macronutrient metabolism, body composition, and energy expenditure. A unique aspect of the laboratory involves the development of mathematical models to quantitatively describe, explain, integrate, and predict the experimental results. 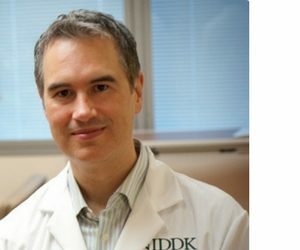 Over the past couple of years, Kevin has been the principal investigator on a couple of high-profile metabolic ward studies looking to examine: 1) the effect of restricting calories from fat vs. from carbohydrates, and 2) the hypothesis that ketogenic diets offer a metabolic advantage.